SSENSE, the global fashion platform known for its directional retail mix and original content, announces the opening of SSENSE MONTRÉAL, a flagship concept reimagining the conventions of retail. Committed to celebrating the rich culture and legacy of its home city, SSENSE MONTRÉAL will open to the public on May 3rd, 2018. Located at 418 rue Saint Sulpice, and representing the first building in Canada designed by world-renowned David Chipperfield Architects, the expansive 13,000 sq. 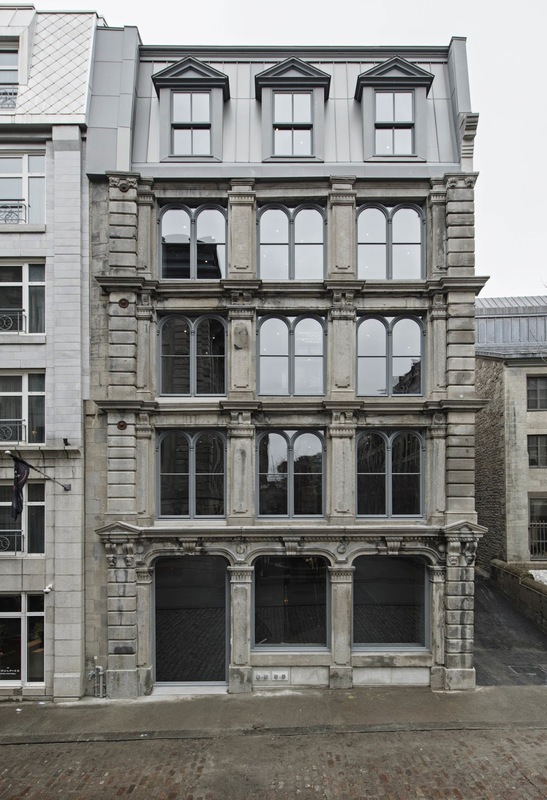 ft. five-storey historic 19th century building is directly adjacent to the city's iconic Notre-Dame basilica. 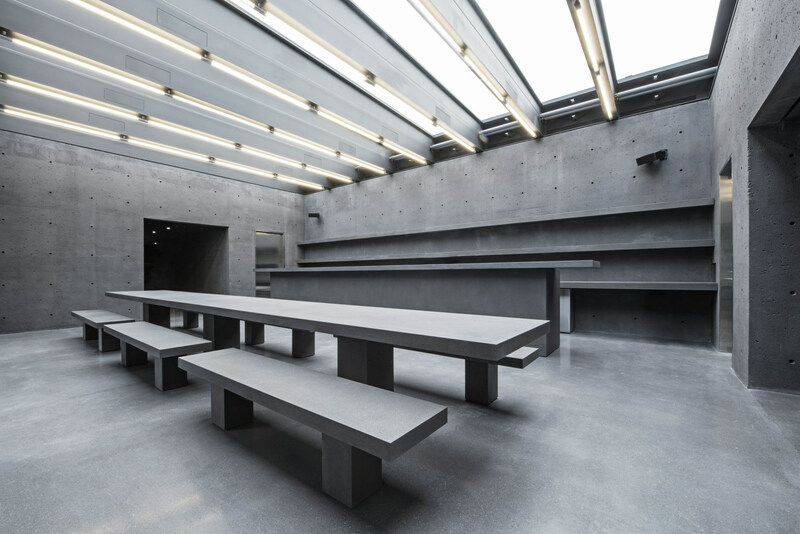 The space houses an in-situ concrete structure — a building-within-a-building — where the concrete architecture is transparently expressed and explicitly exposed while preserving the original historic facade. Conceived as the spatial counterpart to ssense.com, SSENSE MONTRÉAL is an epicenter of activity where creativity, interactions and experiences are at the forefront powered by an underlying injection of technology. Creating a seamless interface from online to offline, an appointment-based personal shopping model facilitated through a proprietary interface (montreal.ssense.com) and stylist app — both custom-built by the SSENSE technology team — allows for over 20,000 products available on ssense.com to be entirely accessible for clients to try on within 24 hours of scheduling an appointment on the website. 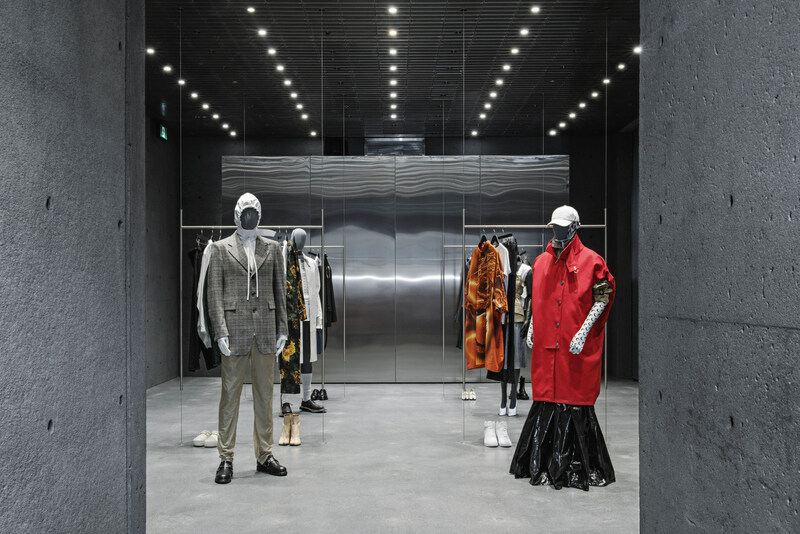 Featuring two levels and eight spacious fitting rooms wholly dedicated to hosting personal shopping appointments, SSENSE stylists are available for consultation via appointment and merchandise bookings facilitated through the website.